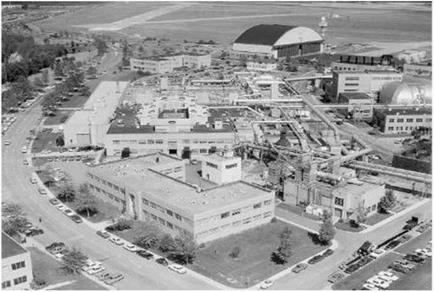 Established during World War II as an aircraft engine research laboratory, Lewis became the third laboratory of the National Advisory Committee for Aeronautics, following Langley and Ames. entirely new effort would grow” These efforts were soon followed by investigations into alternative energy sources—wind, solar, and electric. In 1974, Lewis received SI.5 million for a wind-energy program from the National Science Foundation and the Energy Research and Development Administration (ERDA). 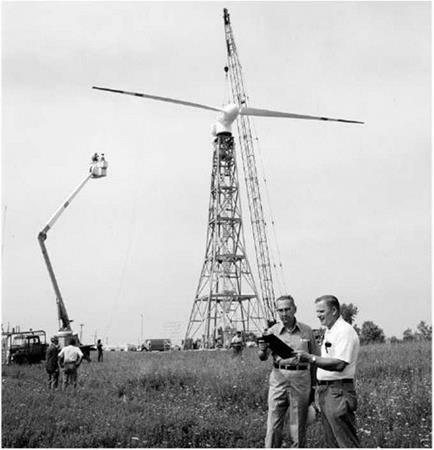 As a result, the Lewis-managed Plum Brook Station eventually built experimental windmills for research. With 2 massive 62-foot propeller blades, the first 125-foot windmill was capable of generating 100 kilowatts. At the time, it was the second largest windmill ever constructed in the United States. One engineer who worked on the Lewis windmills predicted that the country would soon see "hun­dreds of thousands of windmills generating electricity across the United States.” The most impressive of those built by Lewis engineers w’as a commercial wind turbine generator in Hawaii in 1988. which was then the world’s largest. The changing focus of the Center’s activities prompted rumors— emphatically denied—that it would become part of the ERDA. This even resulted in one report that asked “Should the Agency Continue an Aeronautical Propulsion Program at Lewis?”  The Lewis engineers responded by unionizing, and in December 1974, instead of joining the American Federation of Government Employees, they created the new Engineers and Scientists Association and became part of the International Federation of Professional and Technical Engineers. They also looked for a way to return to the roots and the expertise of the Center—engine research. They found their major new mission in the growing national need to develop more efficient engines for commercial aircraft. The new emphasis on energy-efficient aircraft, unlike the ERDA projects, promised to keep Lewis firmly in NASA’s fold.14 Moreover, it brought high visibil­ity to the aeronautics side of NASA, long overshadow ed by the enormous budgets and prestige of the space program. From 1973 to 1976, according to Donald Nored. the head of the Lewis ACEE programs, “there was much action at Lewis, at Headquarters, and within the propulsion industry addressing fuel conservation,” Preliminary studies explored technology concepts that improved efficiency. At the time, Nored remembered, a strong national need fostered a climate that was favor­able and aggressive in its support of research. Concepts, ideas, and programs were plentiful, but Nored explained that the genesis of many of the origi­nal ideas was blurred because of the frequent interaction and “synergism in the activities.” Nonetheless, the period from 1973 to 1976 demonstrates the early articulation of ideas that eventually led to Lewis’s three main proj­ects in the ACEE program—Advanced Turboprops, a new energy-efficient engine, and engine performance improvements and deterioration studies. National need prompted Lewis engineers to begin their fuel efficiency studies 3 years before ACEE’s inception. In April 1973.6 months before the OPEC oil embargo, the Energy Trends and Alternative Fuels study began at NASA Headquarters, with Lewis and Ames assisting. The goal was to iden­tify alternative fuel studies and project fuel usage requirements in the future. Abe Silverstein, Lewis’s former powerful Director, chaired the Alternative Aircraft Fuels Committee. By the end of the year, discussions centered on recommending programs more specifically for aircraft fuel conservation and conventional and unconventional modifications to aircraft engines. 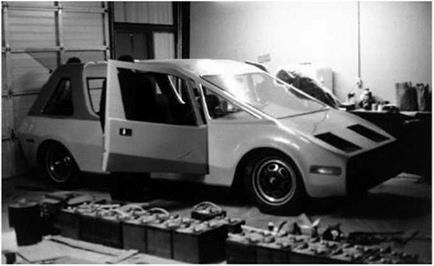 In January 1974, a steering committee performed design studies, explored new fuel-conservation technologies, and suggested modifica­tion to existing engines. Its work concluded I month later, with a plan to establish an Energy-Conservative Aircraft Propulsion Technology pro­gram. an ambitious, 9-year plan, accompanied by a funding request of SI36 million. By April of that year, cost-benefit analyses were presented to Headquarters. A main component of the project was a new energy-effi­cient engine, which some speculated would be 30 percent more efficient than existing engines and could possibly be ready for service by 1985. 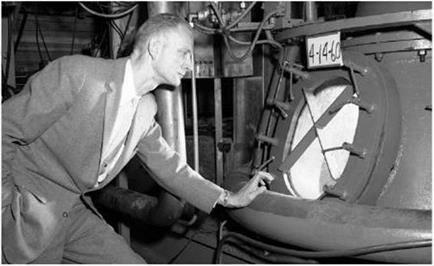 This project eventually evolved into the Energy Efficient Engine program. The Advanced Turboprop had its origins in an American Institute of Aeronautics and Astronautics (AIAA) workshop in March 1974. After much discussion, the participants agreed that a 15-percent fuel savings was possible. The Engine Component Improvement program traced its beginnings to summer 1974, when Lewis engineers awarded a contract to American Airlines, allowing them to examine the airlines’ records to begin looking at how its JT8D and JT3D engines deteriorated over time. These records provided early clues as to the extent and cause of the performance decline of the engines. Pratt & Whitney also entered into a contract with Lewis to investigate similar issues and in January 1975 offered its findings on performance deterioration for its current engines. It was at this time that the Kramer Committee took the lead in coordinating NASA’s efforts in air­craft fuel conservation, working to establish one central program to orga­nize these activities. Kramer, according to Nored, was “very successful in guidance of the program. . . through the various Headquarters/OMB/ industry advisory board pitfalls that can squelch a new start.’”1 The ACEE program was underway, and Lewis engineers were anxious and enthusias­tic about their three aircraft propulsion projects.